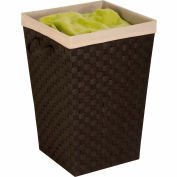 Honey-Can-Do HMP-01367 Double Hamper/Sorter, Natural. 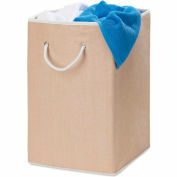 Sort whites from colors in this double bin hamper and you'll always have a clear visual of when a full load is ready. 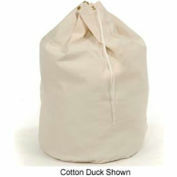 The weave-patterned, resin exterior in natural color boasts two full-sized compartments to hold a hefty 4-loads of laundry. 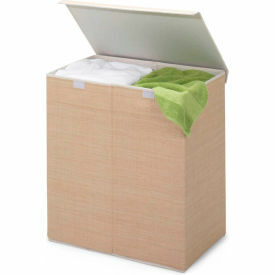 When not in use, the hamper folds up fast for easy storage. 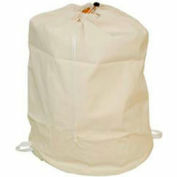 A flip-top lid with touch fasteners tabs hides away contents for a tidy room in seconds.